Shipping with DHL. 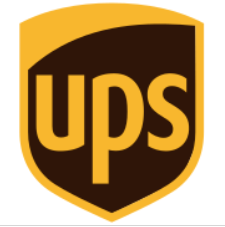 They will screw you, but not quite as bad as UPS. 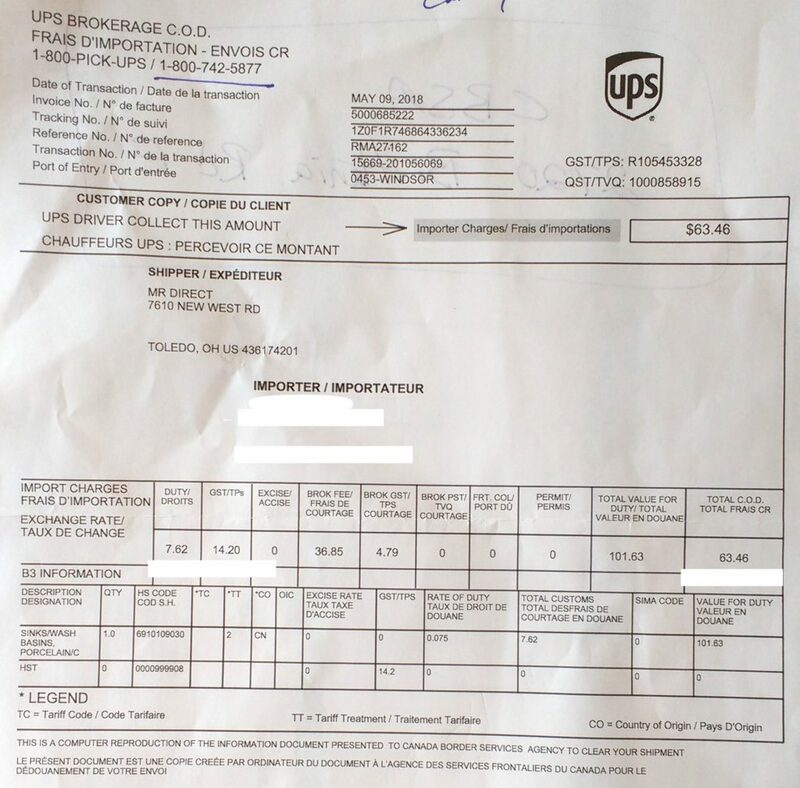 I previously complained about UPS customs clearing charges that I was slammed with receiving back some of my own goods. 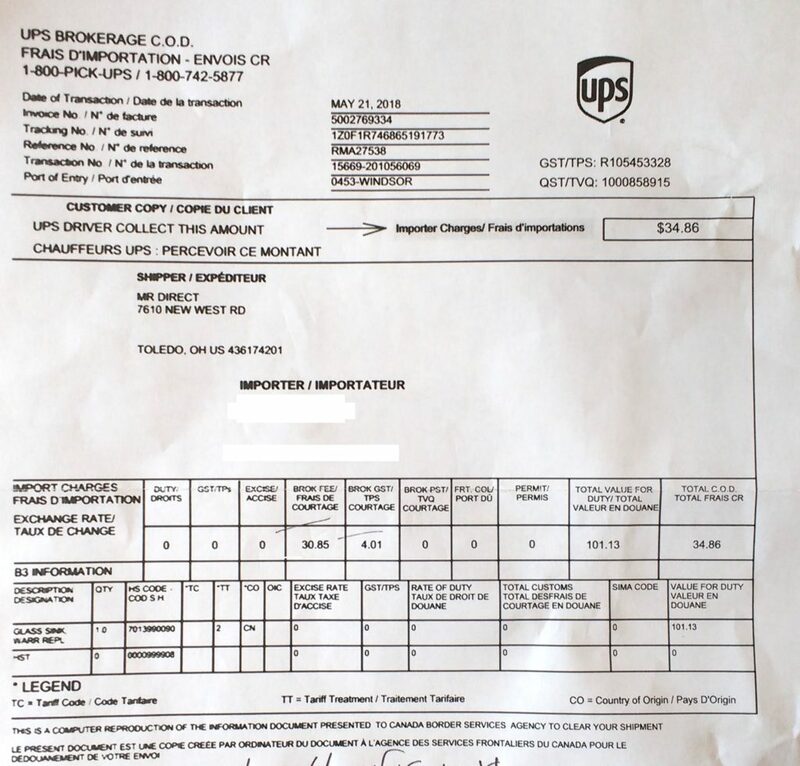 Basically, the Canadian government grants shipping companies the right to extort receivers at the point of customs clearing. 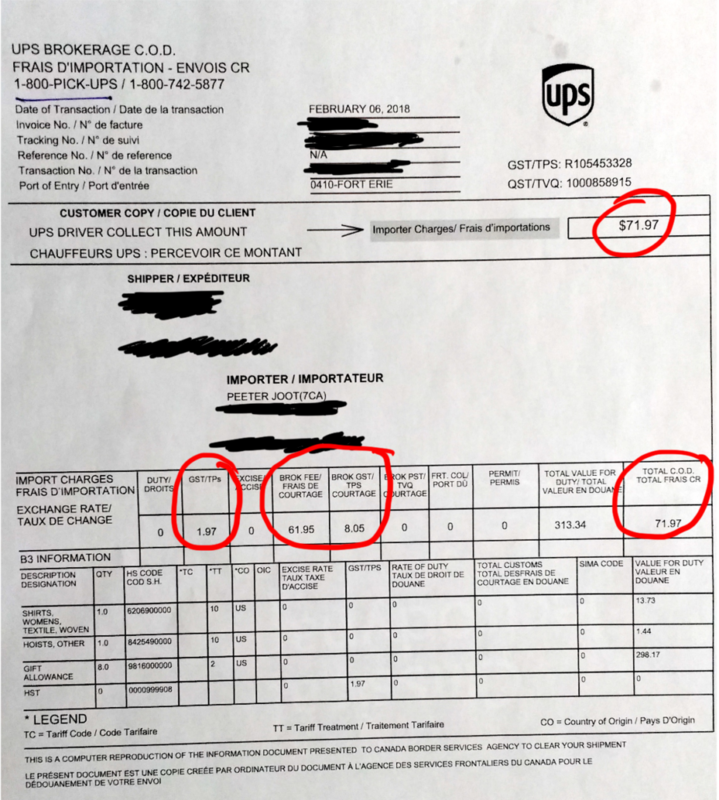 Canada might add a few cents or a buck or two of tax, but the shipping company is then able to add fees that are orders of magnitude higher than the actual taxes. 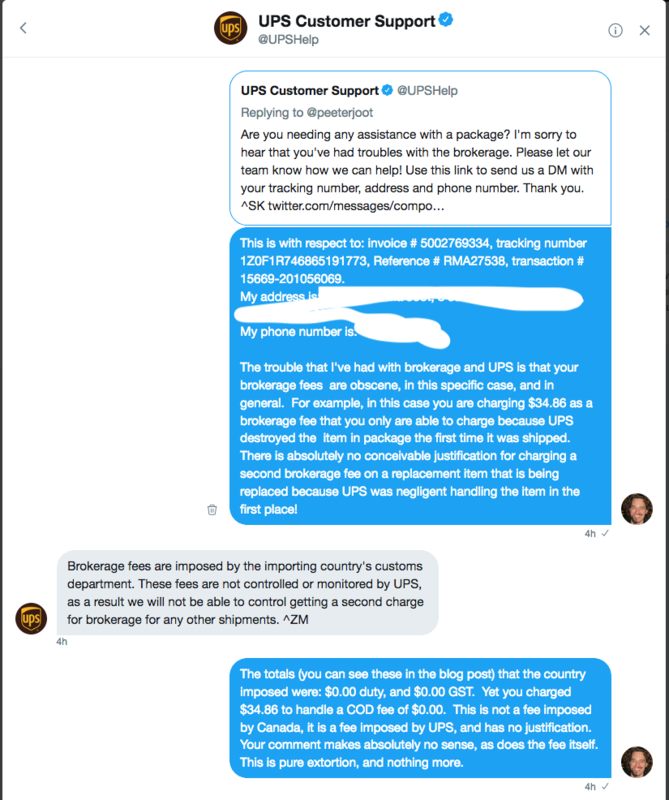 I actually stopped buying anything from the United States because of this, and have been buying from Europe and India instead, where I had not yet gotten blasted with customs clearing fees for the items I’ve been buying (usually textbooks). Note that I did not pick the shipping company. That was selected by the book seller (one of the abebooks.com resellers). 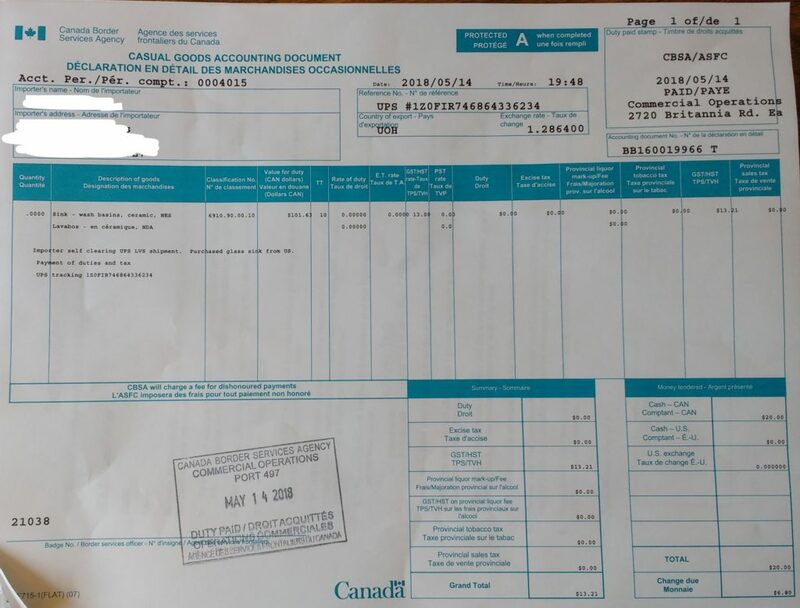 For $1.17 of taxes, DHL has charged me $14.75 of fees, all for the right to allow Canada revenue to steal from me. 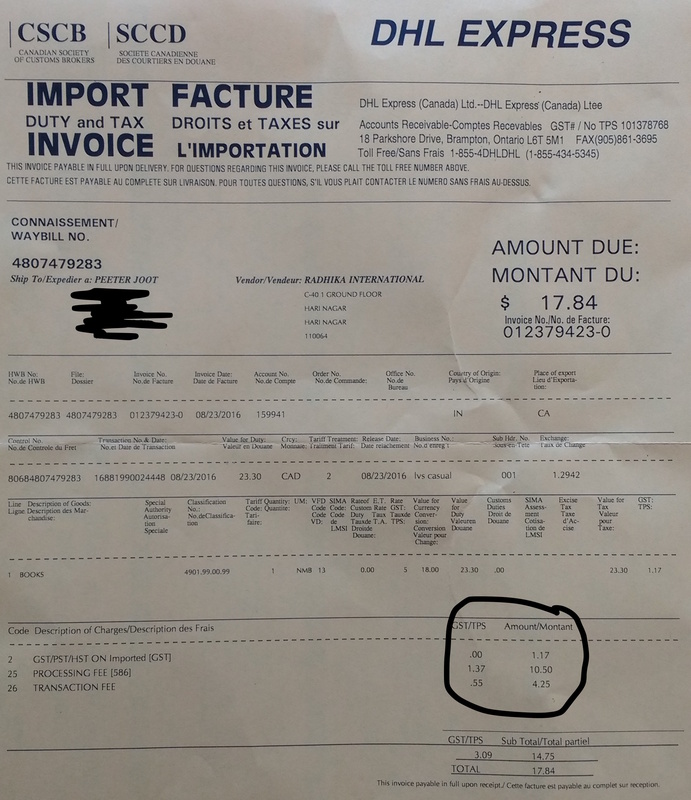 To add insult to injury, DHL is allowed to charge GST for their extortion service, so I end up paying an additional $3.09 (close to 3x the initial tax amount). The value of the book + shipping that I purchased was only $23.30! Aside: Why is the GST on $14.75 that high? I thought that’s a 13% tax, so shouldn’t it be $1.92? 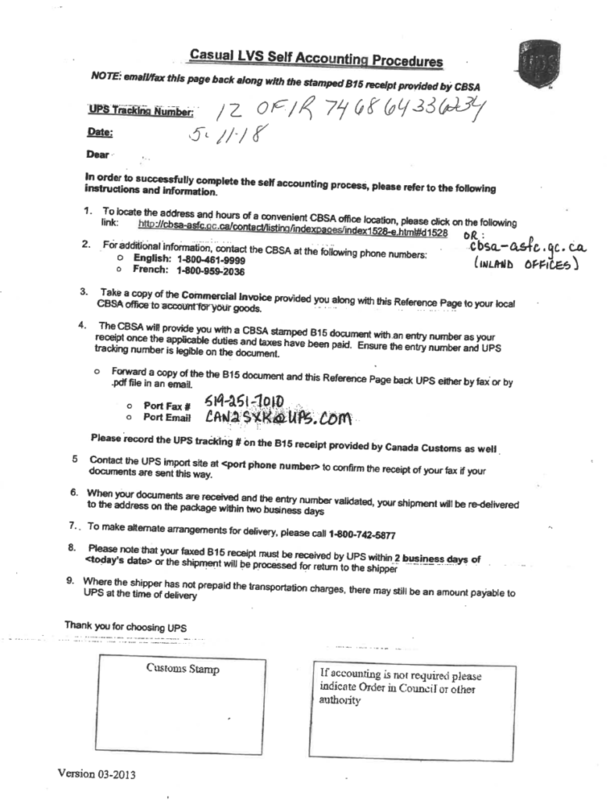 One of the first steps is to find the CBSA office that I can submit such a clearing form to. I can narrow that search down to province, but some of these offices are restricted to specific purposes, and it isn’t obvious which of these offices I should use. For example the one at Buttonville airport appears to be restricted to handling just the cargo that arrives there. 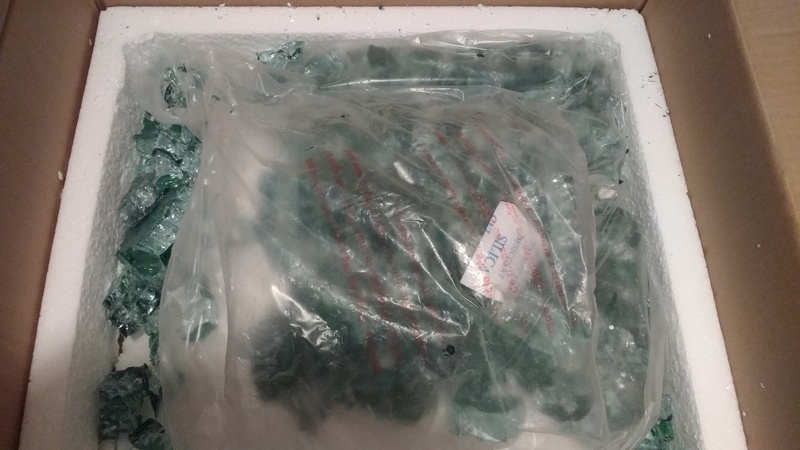 I wonder if there are any local resellers that import used and cheap textbooks in higher quantities and then resell them locally (taking the customs clearing charge only once per shipment)?